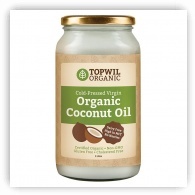 TopwiL Cold Pressed Organic Virgin Coconut Oil is made from sustainably grown, organically certified coconut farms in Sri Lanka. Our product is smooth, healthy and delicious. Virgin Coconut Oil has both amazing beauty and cooking properties. It has a similar molecule structure to the oil in our skin, making its nourishing vitamins and minerals easily absorbed. Nutrient rich, it's also a great raw super-food that can be used for cooking in high temperatures without burning too. 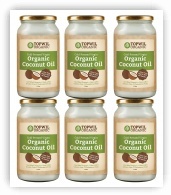 Ingredients: Certified cold pressed organic virgin coconut oil. Storage: Store in cool, dry place away from direct sunlight. 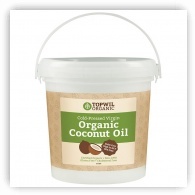 Coconut oil may solidify below 26 degrees C.